Clemson Earrings Dangle Ball (14k White Gold) by LogoArt at J State Tigers. MPN: E13627. Hurry! Limited time offer. Offer valid only while supplies last. Show your school spirit with these Clemson University earrings. We are a certified LogoArt retailer and this authentic item is licensed by the NCAA. 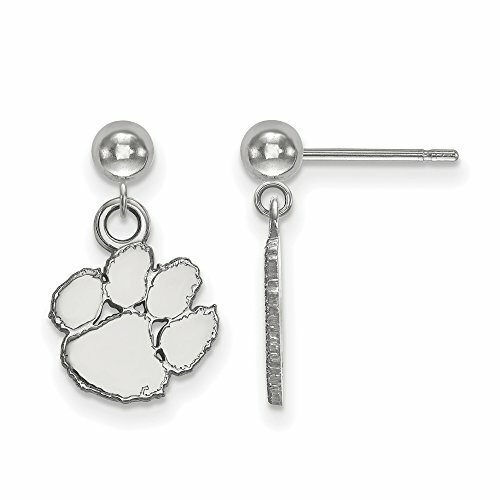 Show your school spirit with these Clemson University earrings. We are a certified LogoArt retailer and this authentic item is licensed by the NCAA. It is also crafted by LogoArt right here in the USA from 14k White Gold.